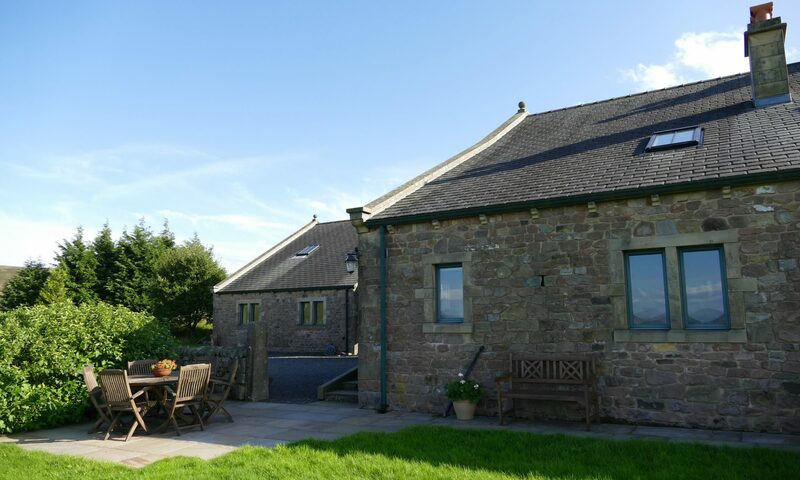 Adjoining the main farmhouse, this former barn has been tastefully converted into a warm and comfortable cottage. 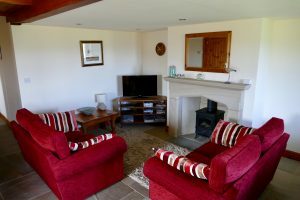 On the ground floor there is a spacious, open-plan lounge with flagged floors, a stone-built fire place and gas stove. 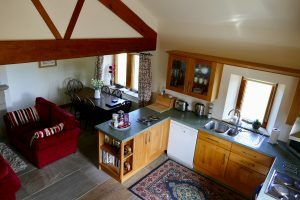 The cottage is also central heated. 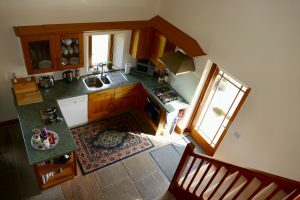 You can sit and admire the incredible views from the dining table or the oak kitchen, which is well equipped with all of your home comforts and includes an electric cooker and hob, microwave, fridge and dishwasher. 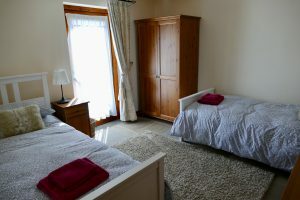 A separate utility room includes washing machine, freezer and drying facilities. 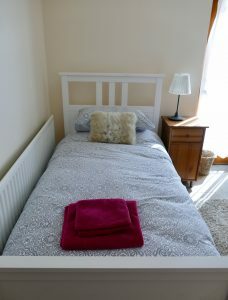 Also on the ground floor is a spacious twin bedroom and a walk-in shower wet room with toilet and hand basin. 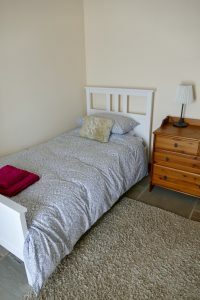 The cottage is therefore suitable for disabled guests. 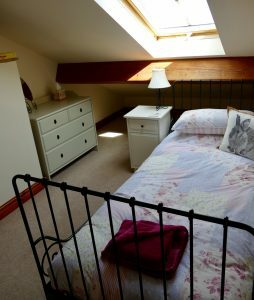 On the first floor there is a lovely single bedroom with a stunning view of the valley below. 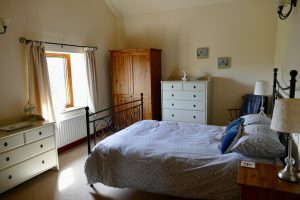 The master bedroom has a beamed ceiling, double bed and en-suite with power shower, toilet and basin. 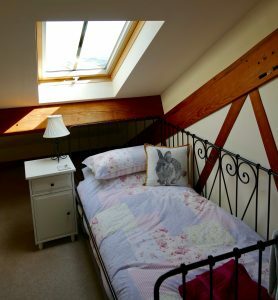 The outdoor space includes a patio and garden with outdoor furniture where you can sit, relax and soak up the fantastic views. 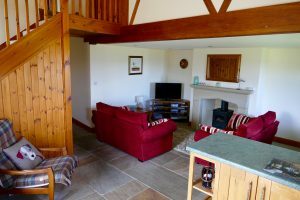 The cottage is wheelchair friendly and there is ample parking for 2 or more cars.